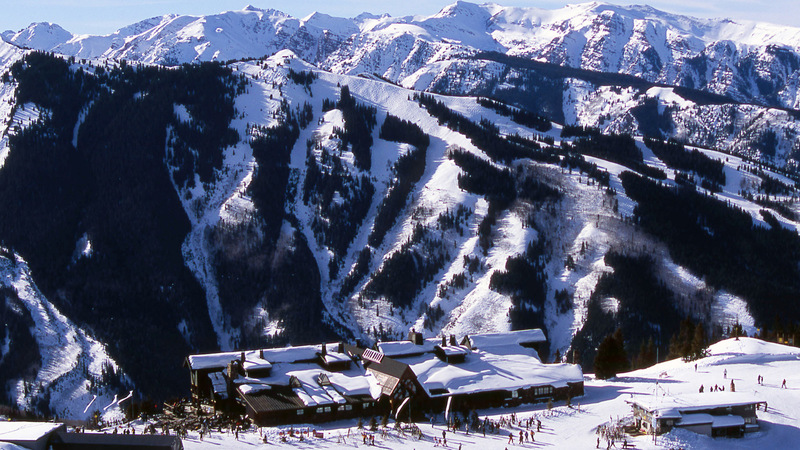 The Sundeck, a 23,000-square-foot day lodge perched on top of Aspen Mountain and on the edge of Forest Service boundaries, is an important icon for this world-renowned resort town. Its design embodies the Aspen Skiing Company’s guiding principle centered on the renewal of mind, body and spirit. This 200-seat restaurant includes a scramble-style cafeteria, bar, and extensive outdoor areas. It is sited at 11,212 feet on a ridge line to conform with the topography but avoids encroaching on the ski area or surrounding wilderness. The building’s orientation maximizes views from the dining spaces with large windows and projected decks. 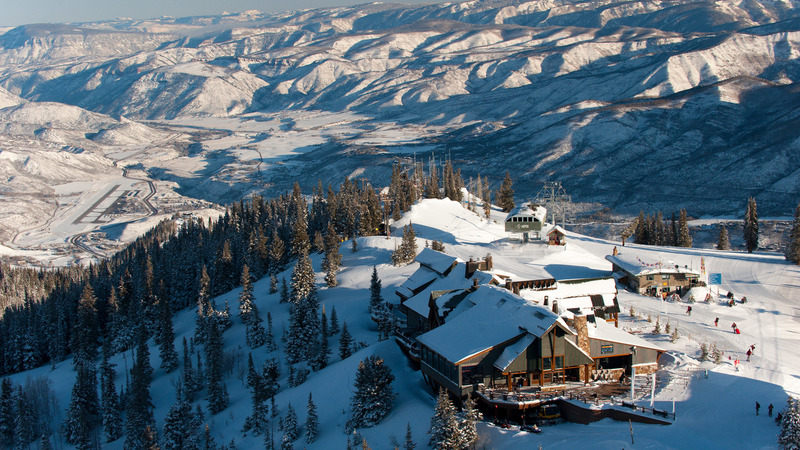 The attached private Aspen Mountain Club provides a higher level of amenities and service for its members and guests, including a sit-down dining room and separate bar. 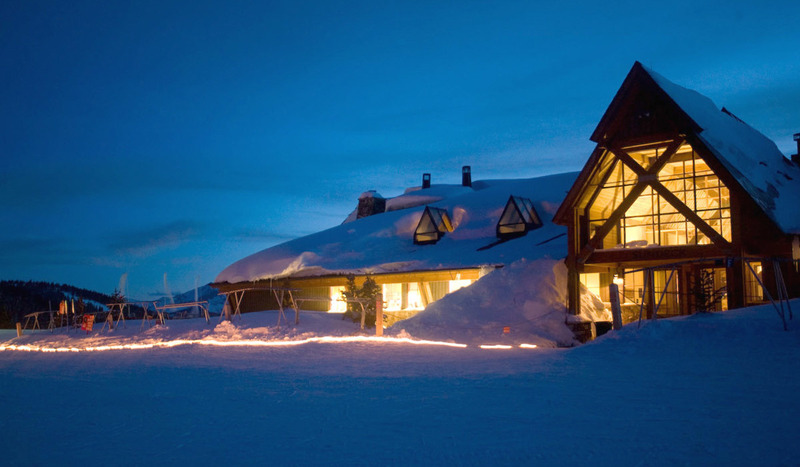 The Sundeck is influenced by European mountain refuges; its low-lying shed roof form, an extension of its mountaintop site; the gabled roof form, reminiscent of the surrounding mountains; and the rugged stone base, a direct connection to the bedrock ridge it is built upon. 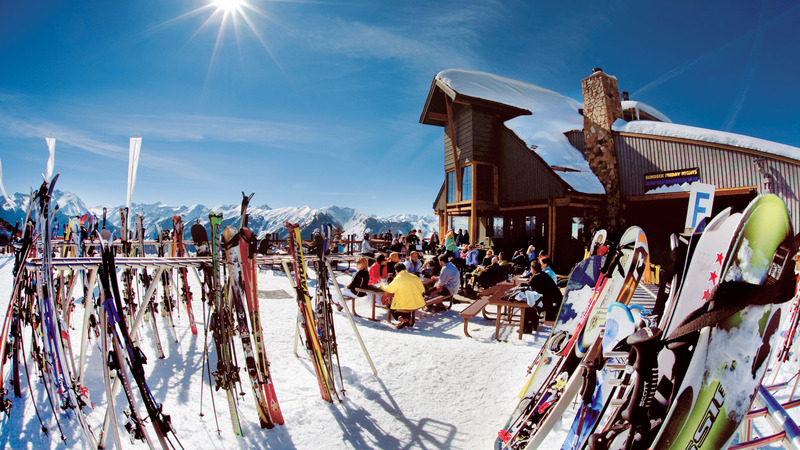 The building maximizes incredible views of the Elk Mountains and tremendous day-long sun exposure. The central space speaks to the spirit of Herbert Bayer and his original warming hut design with a large stone hearth and copper-clad fireplace, a gesture that honors the historic significance of Aspen’s early years. In 2000, the Sundeck became the country’s first resort project awarded a LEED certification by the U.S. Green Building Council’s Leadership in Energy Efficient Design program. Eighty-six percent of the original structure was deconstructed or reused, eliminating the environmental impact of hauling 1,340 cubic yards of material to the landfill. Concrete foundations were ground up and used on site, and the building was ground up into mulch for re-vegetation. Fragile mountain tundra was protected during construction and native vegetation was 100% restored.